In this video Nega Meaza shares Desse's amazing story of leaving the streets forever. Visit the Permanently His page to learn how Nega's visit to the U.S. will impact many more children after he returns to Ethiopia. Recently some good friends of mine asked their kids, “What Christian do you know that should be famous?" One of their children answered, “Mommy and Nega Meaza.” This child had met Nega during his recent visit to Memphis and had heard him share many testimonies about how God is transforming the lives of street children through his team. She also has a mommy who has visited Nega’s ministry in Addis Ababa and is an amazing advocate for what God is doing there. So, from what she has heard and seen, she thinks Nega deserves recognition and fame. I would add Fetla, the spiritual mother to dozens of children who have left the streets. She has made such an investment in each child. You see, Fetla prays hard, serves hard, and, most of all, loves hard. She is a member of Nega’s team who sees things through spiritual eyes and boldly shares the Gospel to the lost children she serves. I would add Mesfin to the list of Christians who should be famous as well. Mesfin has grown into the team member who knows each child’s situation, where they can be found, and what needs they have. I think of him as the worker bee who gets little recognition for all he does. I would also add Taye to the list. Taye is the one on Nega’s team who swells with excitement at the prospect of equipping the church in Ethiopia with strong, biblical teaching and discipleship. He longs to see churches willing and able to join his team in caring for the children no one else wants anything to do with. Abazu should also be on the list. She spent years being a mother to many children who otherwise were without a family. As a house mother at one of our halfway homes for children who have been rescued from the streets, she was the member of Nega’s team that showed many children that they were indeed worthy of love. So many children have seen Jesus in the flesh because of Abazu’s example. I would add Jonathan and Jess Bridges to the list as well, a couple who have left the comforts of the U.S. and planted themselves in the remote village where the Kota Ganate Ag Project is located. They raise their two precious children in this place because they have seen how their skill sets can further the Gospel if they are willing to give up creature comforts and invest in what Nega’s team is doing. And, finally, (I could actually go on and on! ), I would add my wife, Karyn, to the list of Christians who should be famous. For years she has sacrificed her natural desires for putting down roots, for owning nice things (we do have some of those), and for so many other things so that we can pursue God’s call to minister alongside Nega and his team. Everyday she pours herself out for our family so I can focus on TFC and it can continue to impact Ethiopia’s street children with the Gospel. She’s amazing! The Permanently His Campaign needs your help to see Nega's amazing team establish a permanent drop-in center for the street children in Addis Ababa, Ethiopia. Check it out! By Britainy Sholl, Vice Chairwoman of The Forsaken Children. This story is based on a former street child's real life experiences. Take a moment and get a glimpse of what life is like on the streets from a child's perspective. Finally, be inspired by how God intervenes to change children's tragic stories into ones full of hope. God is on the move in Ethiopia to restore hope in the hearts of its forsaken children. This is my story of hope. My name is Fekadu. When I was 7 years old, my father abandoned our family, and soon thereafter my mother, who had been very sick, died. With nowhere to go, my little sister and I began living on the streets of Addis Ababa, Ethiopia. I could not care for my sister, so she eventually went to live with a family friend who was only willing to take one of us. I worked on the streets to make money so I could buy food. But the work was very difficult, and people often stole my money. Most days my empty stomach ached, and I had to dig through many trash cans to find any crumb to eat. I remember one time when I became very sick, and no one helped me. For 3 days I was sick, and people just walked on by as I lay in the street. One night I had a dream someone reached out a hand to help me. I awoke, knowing that no one would help a dirty street kid like me. I tried hard to forget about my dream, convinced it didn't mean anything. I often saw other boys and girls going to school or playing with a soccer ball and wished I could be like them. But my life was about survival - making it from one moment to the next all on my own. When I turned 10, I was very thin, lonely and sad. I cried often and was becoming weaker day-by-day. Why would these people help me? I am a complete stranger, and I have no money to pay them. I am dirty, weak and hopeless. The reason didn't matter - someone had finally seen me and reached out a hand to help. The first thing we did at the drop-in center was eat! I couldn’t remember the last time I’d had a real meal. I ate until I couldn’t fit another bite into my mouth! Then they let me take a bath - with soap! Again, I couldn’t remember ever doing that. Maybe my mom had given me a bath when I was a baby. Then they told me the best news: I was going to get to go to school! I would get an education. I would play with other boys and girls. Who is this Jesus? I had heard the other kids at the drop-in center speak of Him, and I wanted to meet Him. I asked question after question about this Jesus. I wanted to thank Him for telling these kind people to help me when I did nothing to deserve it. At the end of our conversation that day, I finally understood who Jesus is. The thought of someone giving His life for me so that I can know God was the best news I had ever heard! That is when I found Jesus and finally found hope. I was a broken, poor, dirty, unloved street orphan. But Jesus loved me. He loves me, this I know; for the Bible tells me so. Yes, Jesus loves me. Yes, Jesus loves me. Yes, Jesus loves me. The Bible tells me so. This song brings me joy. I see Jesus every day in the faces of my friends at the drop-in center. They are able, because of the love of Jesus, to see me as Christ sees me. I am worthy and loved beyond measure; a son of the Most High. Yes, Jesus loves me. You see, that dream I had of that hand so many years ago wasn’t the hand of any ordinary man. I now know that it was the hand of Jesus Christ. He reached down and touched my life and filled it with hope. This is my story of hope. My name is Fekadu. What’s yours? 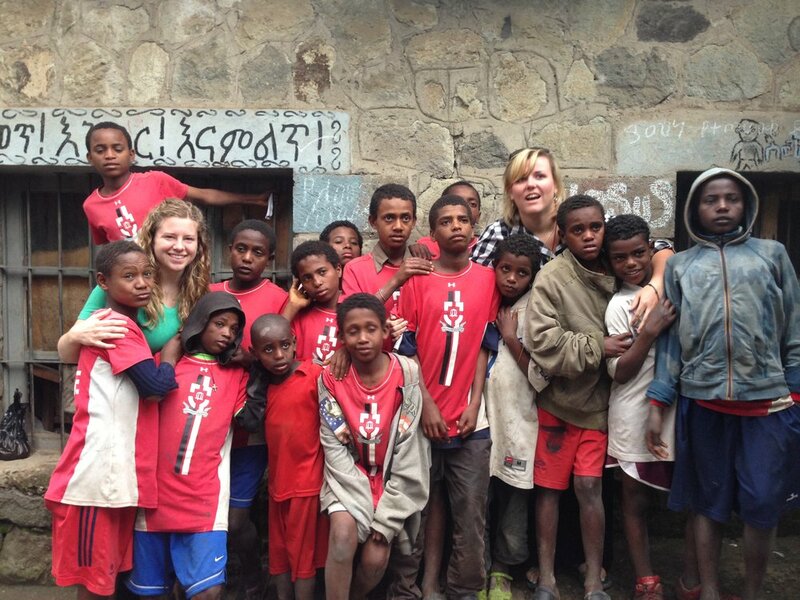 This summer I spent six weeks with The Forsaken Children's team in Ethiopia. During this time, I was privileged to spend each day with a group of boys at the drop-in center, teaching English, playing soccer, and just spending time loving on these amazing guys. The best part was getting to know these young boys and hearing their stories - learning where they came from, what brought them to this point of life on the streets, and, especially, what they hoped their futures would entail. One of the boys I was privileged to get to know was a thirteen year old named Adam*. Adam was the shy, reserved one amidst our group of rowdy boys. He sat quietly to the side, participating in lessons when asked, making jokes with his friends, but mostly just taking it all in. 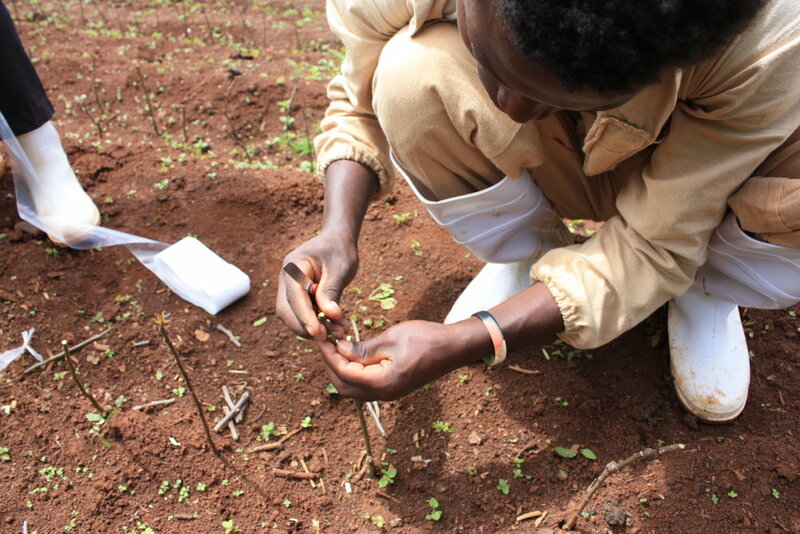 Adam had been living on the streets of Addis Ababa for over three years before coming to the drop-in center. His mother died when he was very young, and his father eventually abandoned him. He has an older sister, who he once lived with, but when she got married her new family refused to allow her to care for her younger brother. Why? Because Adam is HIV+. All of his losses and his illness lead young Adam to his home on the streets in 2010. Last January Adam was hanging out near the bus station when he met Fitela and Mesfin, two of TFC's amazing Ethiopian team members, who invited him to our drop-in center. He visited the next day and has not missed a day since, coming for the meals, the fellowship, the informal learning, and, most of all, for the love. But he always comes late. What is Adam's first stop, you ask? Each morning on the way to the drop-in center, Adam goes to the church. This sweet boy, mature far beyond his years, spends his first few waking hours with our Father, praising Him for the good in his life, trusting Him for healing, and praying and believing that God will heal him. Adam knows that God is the only one who can give him everything he needs, and he rests in that each day. For now, Adam is living at TFC's drop-in center in a room arranged just for him. He attends school and gets regular medical attention because of The Forsaken Children. His tangible needs are met, for which he is very thankful. 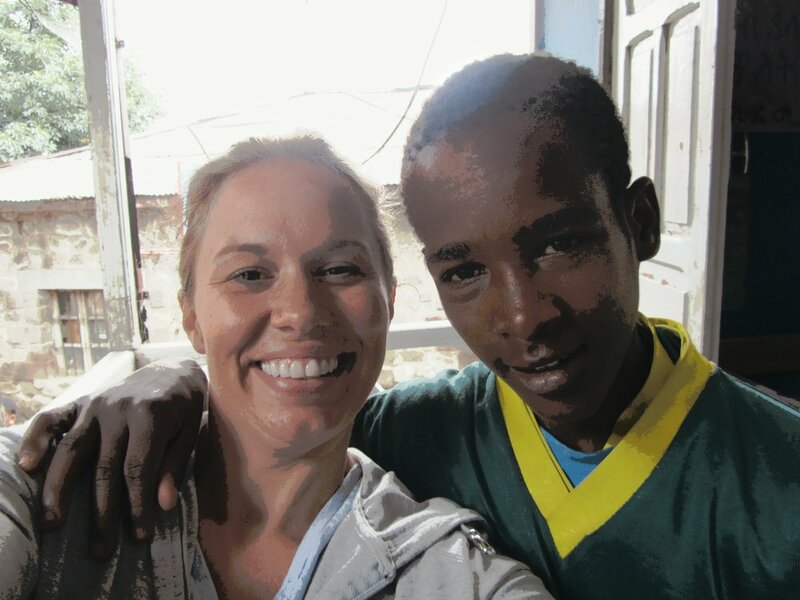 He is also very thankful for the relationships he finds at the drop-in center - people who truly care about him and his future and people who continue to invest in him, despite his health and and the fears that surround HIV in Ethiopia. Adam, like all children, longs for and needs to belong. TFC's Ethiopian team is providing him a sense of belonging now and will continue to do so for as long as necessary. However, I know that God wants more for Adam. God's best for him is a family, a place where he can belong permanently. That's why I love the Permanently His Campaign. This campaign is paving the way for both a secure facility for TFC's Ethiopian projects, INCLUDING THE DROP-IN CENTER, and for its foster and adoption program - a timely endeavor for the "Adams" involved with TFC. Get involved with Permanently His TODAY and help change the lives of street children in Ethiopia! *Name changed and pictures of child withheld to protect privacy.